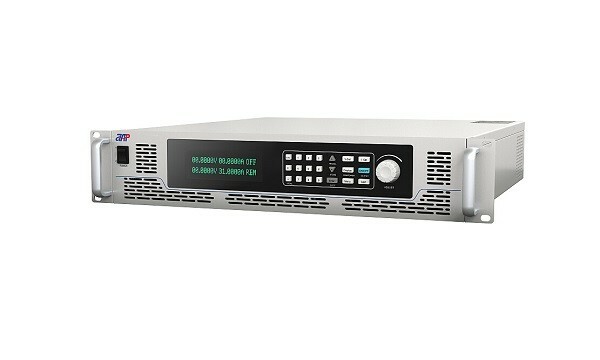 The APM Technologies AM-SP150VDC2000W programmable source has an operating efficiency of up to 86%. By a special measure in the circuit design of the switching architecture potential damage inflicted on the device itself is reduced. As a result, the overall efficiency is increased while lowering the rate of temperature rise of the DC source. Compared with other similar types of products in the market, APM Technologies' sources offer significant advantages. The unique fast drop function makes the response of the AM-SP150VDC2000W much superior. The APM Technologies AM-SP150VDC2000W has a built-in digital voltmeter (DVM) and this independent function can measure the value of the output voltage at the output terminal, and display the value at VFD screen by switching over the front panel buttons. The DC source can also be used as external equipment for laboratory testing, to measure voltage values. In the master-slave control mode, up to 4 units of APM units can be used in either a series or parallel mode. This control mode has the effect of “a hundred responses to a (single) call”. Once the mode is settled, the “Slave” will be locked in the main interface and exclusively controlled by the “Master”. When there is a “Slave” signaling a protection mode issue, all the DC sources will turn off and exit master-slave mode. 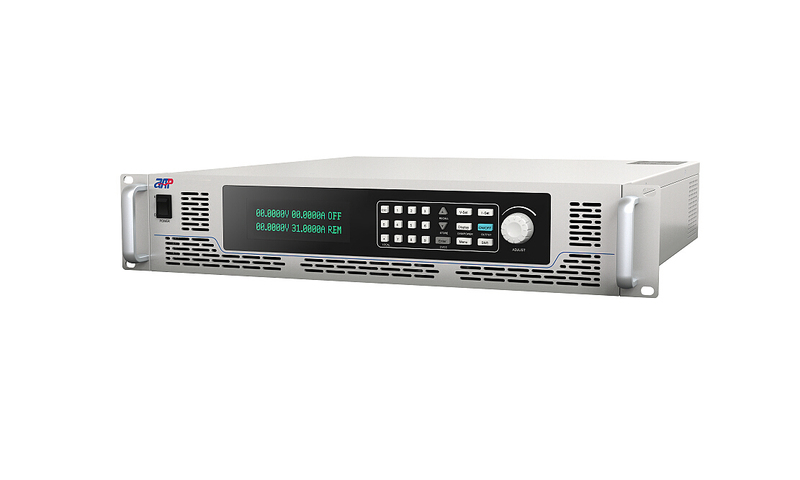 When users require high output power, APM Technologies AM-SP150VDC2000W source can increase the output power by using up to 10 devices in a series or parallel mode. AM-SP150VDC2000W source via its RS485 interface can be operated in a series mode by using up to 31 units of the device, thus makes it possible to simultaneously control all the DC sources connected on RS485 from a PC. Weiterführende Links zu "AM-SP150VDC2000W Power Supply"